Millennials are setting a trend when it comes to having more say on what their super funds are investing in. This article explains what ethical investing is and how to take more control over how super is invested. Research commissioned by the Responsible Investment Association Australasia (RIAA) reveals that ....% of Millennials prefer to invest in a responsible super fund than one that only considers maximising financial returns. Well ahead of Gen X on ...% and Baby Boomers on ...%. Across all demographics, the proportion of people who would rather invest in a super fund that “considers the environmental, social and governance (ESG) issues of the companies it invests in and maximises financial returns”, as opposed to a fund that focuses solely on maximising returns, has risen by ...% since 2013. 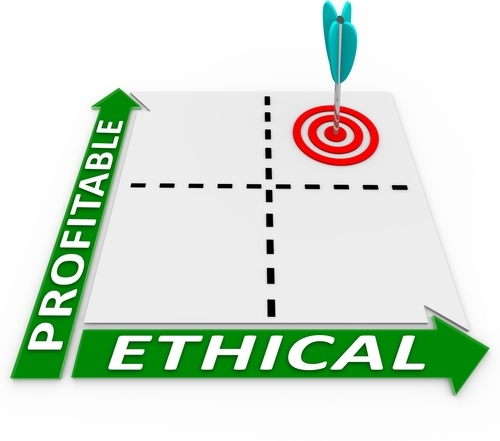 This article provides a more in-depth discussion on ethical investing including how companies are determined to be ethical. And mentions a fund doing the opposite – “the barrier fund”. With more and more people realising the importance of caring for the planet on which we live, it’s not surprising that many are looking for investments that make a positive impact on our environment, our communities, and our children’s future as a whole. Investor concerns now range from the environmental implications of a company’s activities, to how it treats its workforce and the communities in which it operates, and to how ethically the company is governed. These concerns are usually wrapped up under the description of Socially Responsible Investing (SRI), or Environmental, Social and Governance (ESG). A number of managers offer specific SRI funds. A brief explanation of what ethical investing is and what it can cover. Socially responsible investment or ethical investing fits this bill with investors asking the hard questions about how profits are being made. Companies that make their millions through environmentally destructive behaviour or are socially irresponsible may find it harder to raise money when going public.